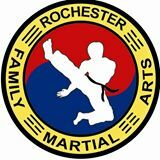 Rochester Family Martial Arts will be giving a free demonstration at Kewanna Public Library on Sat., June 18 from 9:00-11:00. The martial arts students will be demonstrating their expertise of self-defense with the community. This demonstration will be given in conjunction with the Kewanna Town Wide Garage Sales. Make a trip to Kewanna and checkout the garage sales thru out the town, and be sure to stop by the Kewanna Public Library from 9:00-11:00 to watch the Rochester Family Martial Arts students demonstrate their skills.